Based on the Fighting Fantasy game book. 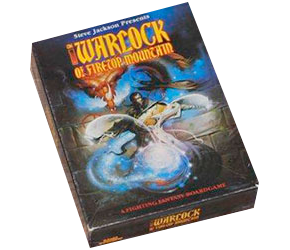 Way back in 1986 the fledgling company Games Workshop released this roll-and-move game based on the phenomenally successful Fighting Fantasy book of the same name. Nostalgia buffs and collectors only need apply.